You know you'd be surprised what you can buy in Lagos these days. Pretty much anything you can buy in the West you can buy in the City of Sin/House of wisdom. 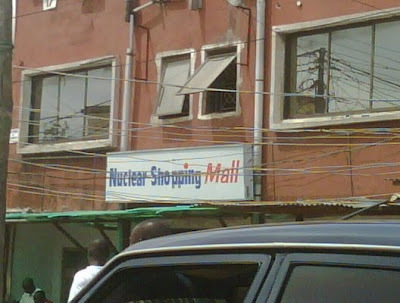 (snapped near Awolowo Way, Ikeja today). Na wa o..Only for naija! I wonder what they sell in there.